I love spending time deep in the woods and usually deep in the water to find spots of tranquility surrounded by the soft and sometimes harsh sound of rushing water. 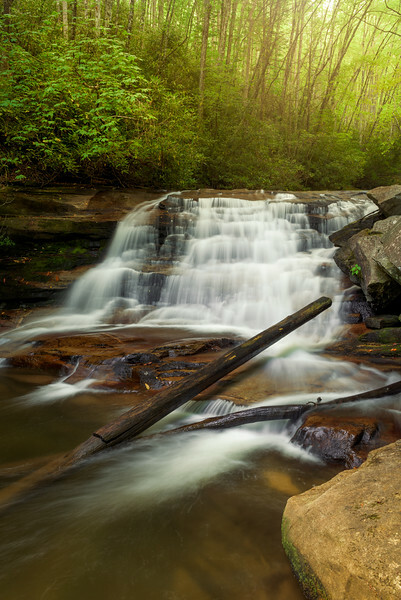 This waterfall is just off the side of the road as you head through PIsgah National Forest near Brevard, NC. Although it is so close to the road the descent down is anything but easy. This time of year the steep and root filled "path" is also covered by leaves who have already surrendered to the first cold nights of the year. I typically slip and slide my way down all while cradling my camera and tripod as though its a small child. But as you can see this overlooked waterfall is worth the descent to capture it.